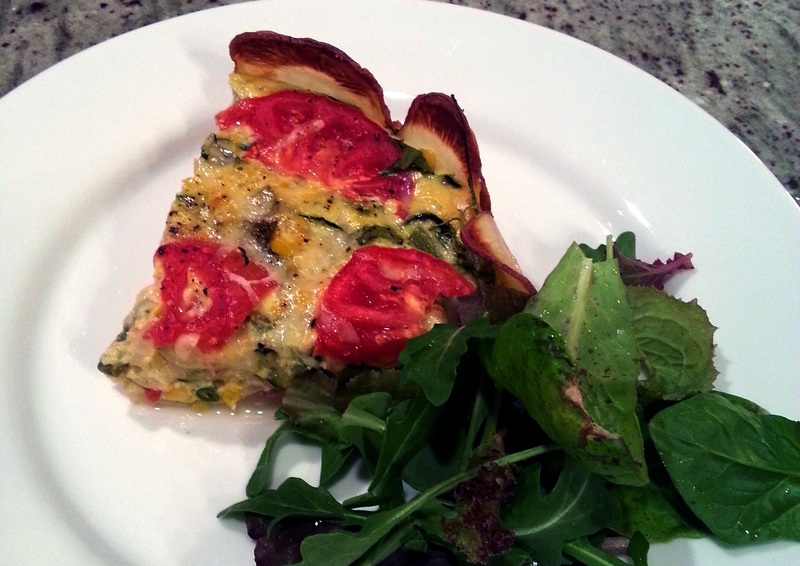 This quiche is an adaptation of a recipe from a great veggie cooking blog, A Veggie Venture. Butter or oil a spring-form pan or deep pie dish and line with the potato slices to form the crust. Blind bake crust in oven for 15-20 minutes until potatoes are soft. Remove crust from oven and pour in the vegetable and egg mixture. Top mixture with sliced tomato and season with a little more salt and pepper. Remove from oven and allow to cool before serving or removing from spring-form pan. So glad you enjoyed the quiche, your kind words mean the world!